The Denver Broncos are among the best teams in the NFL and their dominance in the late-1990s along with several Super Bowl appearances makes them one of the most accomplished teams in league history. 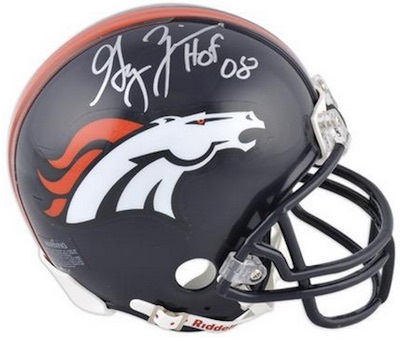 Now with Peyton Manning at the helm, the Broncos hope to add more Super Bowl wins and they have become one of the top teams for fans and collectors. 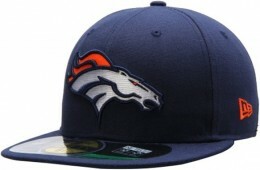 The following list features birthday or holiday gift ideas that are aimed at supporters of the Denver Broncos. 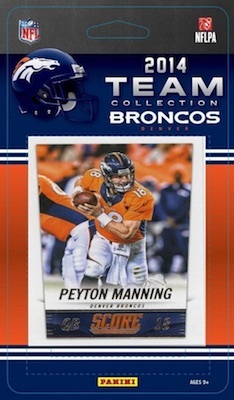 While this guide only covers gift ideas for the Broncos, for more detailed team info, check out our comprehensive Denver Broncos Collecting Guide. The gift guide below includes 20 different ideas across a variety of print points. 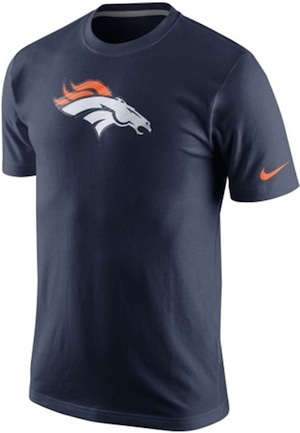 Both specific ideas and more broad suggestions are offered and any of the items should make a terrific present for fans and collectors of the Broncos. 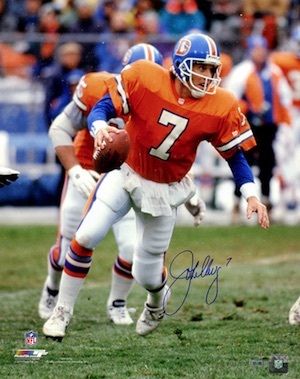 The biggest name in the franchise's history, John Elway led the team to their only two Super Bowl titles at the end of his Hall of Fame career. Widely regarded as one of the greatest quarterbacks in NFL history, autographed gear for Elway is definitely on the pricey side. 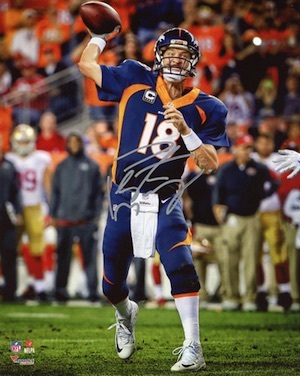 Signed photos for Elway offer the least expensive option and would likely be the top choice for most collectors and fans. One of the greatest tight ends to ever play the game and a fan favorite in Denver, Shannon Sharpe was part of both title teams and a prime target for Elway. While signed items are not as plentiful for Sharpe, they can still be found with relative ease. 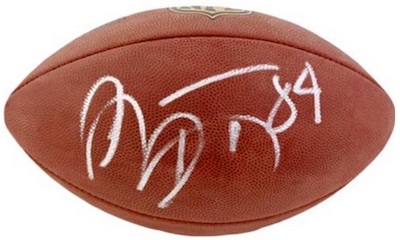 An autographed football for Sharpe is an appealing premium gift option and a great display piece for a man cave. Another all-time great among quarterbacks, Peyton Manning completely transformed the Broncos into an offensive power when he came over from Indianapolis. Fans and collectors hope he bring the Broncos back to Super Bowl glory and his signed gear is among the most popular in all of the hobby. Offensive lineman don't receive the same love from fans and collectors like other offensive positions, but Gary Zimmerman is remembered fondly by Broncos fans based on his Hall of Fame career. Signed helmets offer a great display piece and prices remain reasonable. Floyd Little was a Hall of Fame running back for the Broncos at a time when he was one of the only bright spots on the team. Little spent his entire career in Denver and was their first star player. 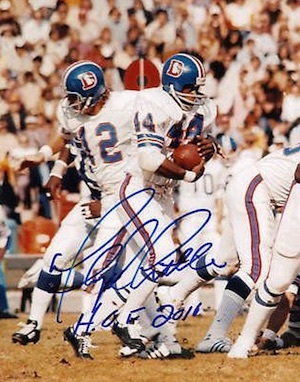 Signed photos for Floyd Little are a fantastic budget option for a seasoned Broncos fan. Although his surefire Hall of Fame career was derailed by injuries, Terrell Davis did more in his four full seasons than most running backs do in a career. 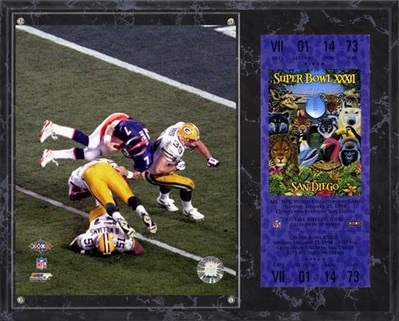 He was a main factor in both of the team's championship runs and was named the MVP in Super Bowll XXXII. 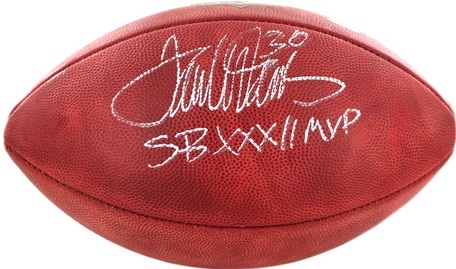 A signed football is a great gift option for most fans and collectors. 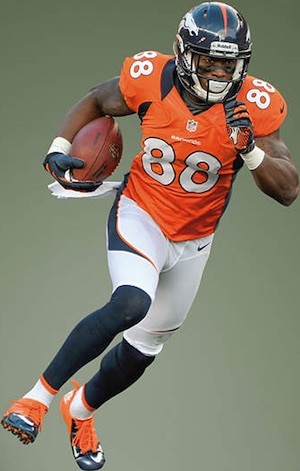 A main part of the receiving group in Denver, Demaryius Thomas has already emerged as one of the top wide receivers in the NFL. This framed photo represents a nice budget option for fans. 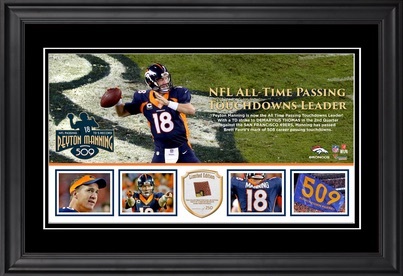 View other plaques or collages for the Broncos here. Memorializing an iconic moment for John Elway, this framed Super Bowl plaque shows his fearless run for the end zone along with a replica ticket for the big game. This budget option is sure to appeal to any Broncos fan. While the bulk of his touchdowns did not occur in Denver, Peyton Manning still made history with the Broncos when he set the all-time passing record for touchdowns in a career. This refined framed collage includes multiple images from the game and a piece of game-used football. 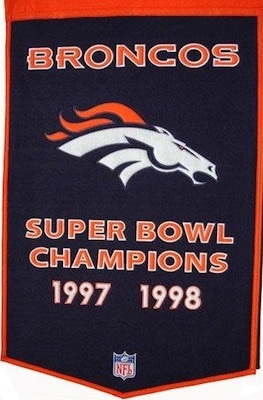 This quality wool banner is a great gift for a fan of the Broncos and would work in nearly any setting. Both Super Bowl wins are documented on the banner along with a large team logo. 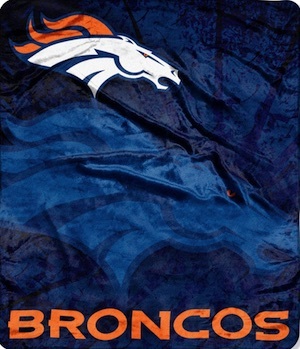 A fun budget gift, this colorful blanket works well in the winter months and is a great way to celebrate the Broncos. 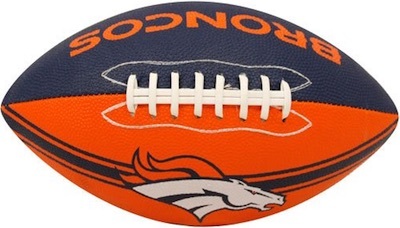 Another nice budget option, the bright football makes an ideal stocking stuffer or could be easily paired with the blanket to make a Broncos combo gift. Football cards are a popular option for fans, but they are not as simple to buy because they are so specific. 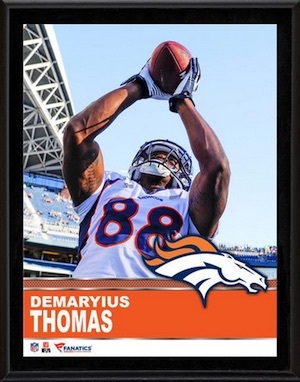 One option we recommend for budget gifts or stocking stuffers is Denver Broncos team sets. Some are sealed and some are hand-collated, but the result is the same. Make sure to verify the year of the card and the players included to make sure you are getting what you expect. 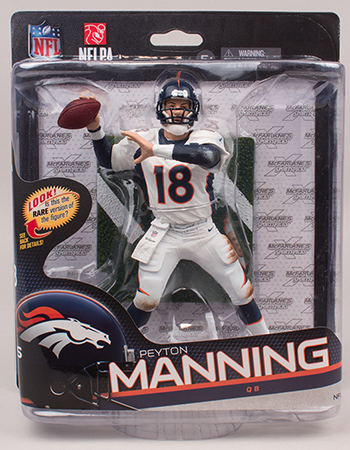 Whether shopping for a child or an adult, Denver Broncos figures and bobbleheads can be a great gift. Several different brands offer a variety of options and many players can be found from the history of the franchise. Check out specific figures on eBay using the links below. There are a good variety of different Denver Broncos team fatheads. In addition to team logo versions, players are some of the top Fatheads and three of the most popular Broncos are noted below. 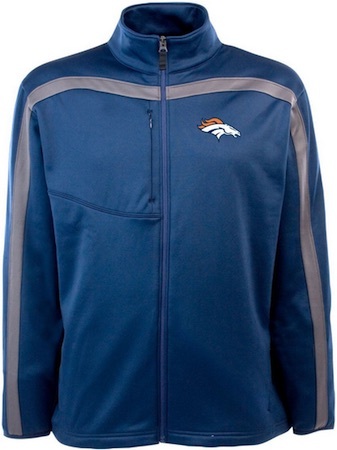 Smartphones are the new norm and can make for an easy and inexpensive gift for a Denver Broncos fan. Just make sure to verify the exact make and model before you buy. We have included direct links to Amazon below for the most popular phone models. 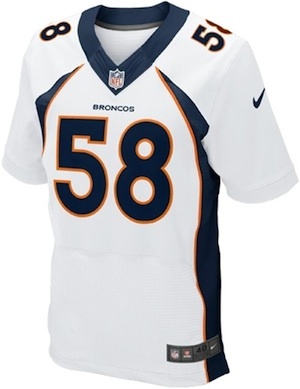 Jerseys remain the most common way for fans to display their love of the Denver Broncos. Replica versions offer cheaper prices and fans can also have them customized for added appeal. If you are overwhelmed by the many versions, check our detailed NFL jersey guide here.